Sometime I like to have breaks between the movies in my marathons. And I am in the mood for that once again. This time I will be watching '70s Cartoons between each movie. As I have SATURDAY MORNING CARTOONS: 1970s: VOLUME 1 DVD Release that I would like to watch. My goal is to watch every cartoon in that set. So that means I need a goal of 18 movies over the next 4 days. Not sure I will make it... but I will give it a go! 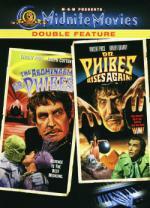 - Dr. Phibes Rises Again! Remember when the coolest, funnest day of the week was Saturday? Sure you do! That's when you tuned into the 'toons. 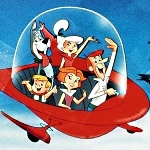 The funny ones, the futuristic ones, the action packed ones – they were all part of your growing up. So blame them. Better yet, relive them with this 17-cartoon (5+ hours!) array of shows you watched while wearing your PJs and digging into a bowl of cereal. Vincent Price plays a diabolical doc seeking the ultimate in revenge with precision creepiness...and surgical wit! After a team of surgeons botches his beloved wife's operation, the distraught Dr. Phibes unleashes a score of Old-Testament atrocities – from a plague of locusts to an attack of rats – on his enemies that climax in what may be one of "the eeriest endings on screen record" (Syracuse Herald-Journal)! This is one of the many in my collection I never seen before today. Though it is one that was suggested to me on many occasions by many people. Vincent Price has become a favorite of mine. I have to admit... I had my concerns about this one as soon as it started. Since I am not a fan of music of any kind. And this one opens with some strange orchestra. The movie itself... while good... I was expecting better. Maybe because of how people have gone on and on about it to me... causing my expectations to be higher then they should have been. But over all it is worth watching and I am glad I have it in my collection. Well... one thing made my marathon easier. The case says there is 17 cartoons in that set. When I popped in the discs I found there is only 16... so that is one less movie I need to watch for this marathon. Then I got a phone call that made this marathon harder again. Brittany has a doctor's appointment I forgot about tomorrow morning. So that will take away from the time to watch movies. But at least Britt will be home from school tomorrow... giving us 3 days to watch movies and toons together instead of 2. "The Jungle -- here I was born, and here my parents died when I was but an infant. I would have soon perished too, had I not been found by a kindly she-ape named Kala who adopted me as her own and taught me the ways of the wild. I learned quickly and grew stronger each day. And now I share the frendship and trust of all jungle animals. The Jungle is filled with beauty and danger, and lost cities filled with good and evil. This is my domain, and I protect those who come here for I am Tazan, Lord of the Jungle." When one city of miniature people build a giant robot to fight another city of miniature people, Tarzan must make peace between them. When I seen this listed in the set... for the life of me I couldn't remember this cartoon. Then as soon as I saw the intro of the show it all came flooding back to me. As it was actually one of my favorites from my childhood. Now the question is did it hold up? In my opinion it definitely did! I enjoyed it very much and felt like a kid again watching it. 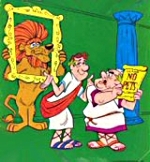 Of course it reminds me of many other cartoons from the time. Same style, same familiar background music (yes... sometimes I do notice this... if the same stuff is used often as it is in the toons of the '70s) and same morals to the story-lines. The characters always learn a lesson in the kid shows back then. 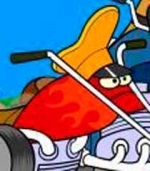 It is a shame that all the episodes to this classic toon is not on DVD. This Special 25th Anniversary Collector's Edition is Digitally Mastered and contains exclusive footage, interviews, and behind-the-scenes material. Steven Spielberg directed this classic film that became one of the most enduring action-suspense films of all time. "JAWS" was an instant blockbuster, a phenomenon, and today it is still among the highest grossing films in motion picture history, acclaimed by critics and audiences alike. 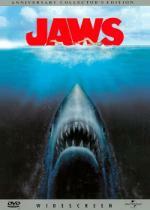 Rediscover the timeless film that continues to make entire generations afraid to go in the water. This is the first time I have watched this movie in a very long time. This is only the second time I watched it since I bought it a good 7 years ago. Not because it is a bad movie as I do enjoy it. Though I don't think I enjoy it quite as much as a lot of people. It is a good story but I do find it slow at times. Plus there is the fact that I was never much of a fan of Richard Dreyfuss though I did enjoy him in this more then I do in most movies I have seen with him. Over all... I would definitely recommend this one. LOL... it lost a point for having Richard Dreyfuss in it... I never did like that guy! I agree with Jon...this is definitely a 5-star movie. I think we need to overrule Pete's 4 star raging. My best friend Norman (who died in 2000) saw this movie more than any other film in his life. And I do consider this one of the greatest adventure films ever made. And who cares if it has a few slow moments? Not every film has to be non-stop action from start to finish. Can't... I don't have it! Besides... Britt is punishing me already... she is making me sit through Josie and the Pussycats! If I really wanted to make you suffer, I'd make you watch a movie about music...starring Richard Dreyfuss! I think he made two such movies...The Competition (when he was younger)...and Mr. Holland's Opus! Mr. Holland's Opus is a nice film. Pete, you would enjoy it despite being 50% Dreyfuss and 50% music! Josie and the Pussycats followed the adventures of an all-girl rock and roll group as they travelled the world playing gigs and along the way thwarted the weird diabolical plots of several megalomaniacs looking to rule the world. While on a low-economy cruise to Pago Pago Island, the gang's ship is attacked and sunk by Captain Nemo's super submarine. The great-grandson of the original Nemo reveals his plans of using his sub to sink any ship in his path in order to rule the seas. After being captured and dropped to the bottom of the ocean, the Pussycats escape, locate Nemo's headquarters on Volcano Island and set out to stop his plans in their unusual, madcap fashion. OMG... the torture my own daughter put me through! How could she! This is basically nothing more then a Scooby Doo rip-off set to music. I mean some of the characters are even drawn to look like the characters of Scooby Doo (Fred/Alan) And even sounds like they had the same actors on a couple of the voices. This is definitely not one I would recommend seeing. Very very bad! Oh good grief, so you don't even get Tara and Rachael? Its called six degrees of separation Velma.